You are welcome to deposit on a started dog. Your deposit is an agreement to complete the purchase of that dog if the training is completed. You have right of refusal with refund of deposit if the dog's work, shown via video, or on the day you visit does not meet your expectations. Call to reserve a started dog. 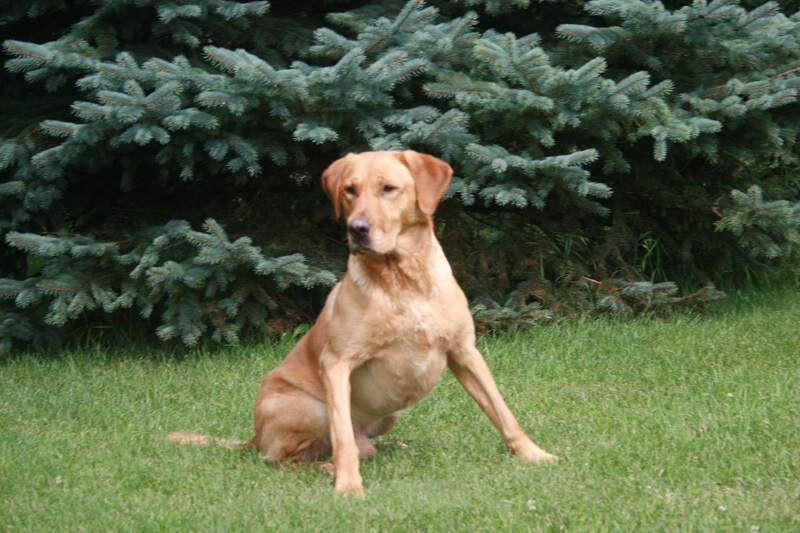 Drake is a 60 lb yellow male who turned one year old this summer. out of lines including 2x US AND CANADIAN NATIONAL FIELD TRIAL CHAMP EBONSTAR Lean Mac. THERE IS A STRONG BRITISH COMPONENT TO THE PEDIGREE AS WELL AND THESE DOGS ARE VERY "BALANCED" IN TERMS OF DRIVE AND OFF-SWITCH. Drake's mother is out of one of our foundation dogs from Grits... bred to 4x GMPR HRCH QAA Rooster Smasher MH Drake has a "perfect mouth" is wonderfully friendly and has very good working drive. Very nice head. Very nice point. He is a perfect family dog / working companion. Hazel is a 60 lb yellow female. She turned two in November. Hazel's's mother is one of the nicest pointing females we have seen. An untitled dog out of Tiger Mountain lines named Abby. Hazel is a very clean, very safe dog. She has a strong pointing instinct... and pointed her very first bird. Hazel is somewhat timid around new people but will warm up nicely and safely to them. I expect Hazel to be fully started in March, 2019. OBTAINING A SAUK RIVER "STARTED DOG". Each year we have some dogs which are taken through a program which produces an obedient, functional bird-dog that anyone would be proud to hunt over. The term "Started Dog" means different things to different people. Obedience: Sit, Place, Heel, Here, Whoa, "Kennel" . Collar Conditioning: Your dog responds positively, with a conditioned response to e-collar pressure. Collar conditioning allows you to use this valuable tool the right way. Force Fetch Program completed: Assures that your dog will handle birds correctly and deliver to hand reliably. Quartering: Will be started enough to allow you to develop teamwork in the uplands with a conditioned response to a quartering whistle.. Marking practice: Single Marks to a distance of 60 yards. We will provide several started dogs available through fall 2018. Call for availability, or to choose a dog early and contract for your dog's training. © 2018 Sauk River Retrievers. All rights reserved.